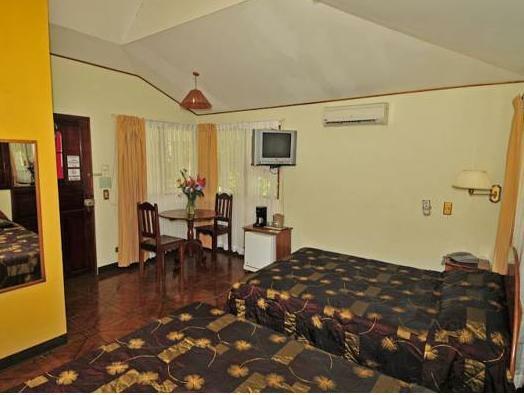 ﻿ Best Price on Hotel Arenal Country Inn in La Fortuna + Reviews! Surrounded by amazing gardens and featuring a furnished terrace and an outdoor swimming pool, Hotel Arenal Country Inn is 0.6 mi from La Fortuna Main Square and 6.2 mi from the Arenal Volcano. The rooms offer wooden furniture, free Wi-Fi, air conditioning, safety box, flat-screen cable TV, telephone and a dining area with mini fridge. The accommodations also feature a private bathroom with shower and free toiletries, and a terrace with garden views. The breakfast is included. Activities such as canopy tours, rafting, hiking and horseback riding can be arranged by Hotel Arenal Country Inn. 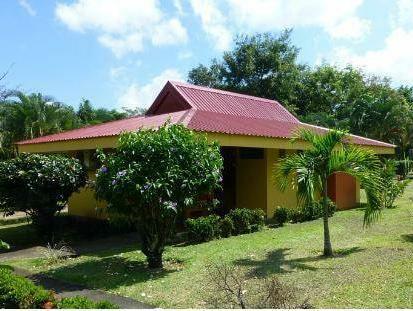 The property is 1.6 mi from the La Fortuna waterfalls and 20 minutes’ drive from the Arenal Lake. The Juan Santamaría International Airport is a 3-hour drive away.